Look, Chinese teams flexing their newfound financial muscle by snatching up a handful of the best performers from the Brazilian league every season, or even by buying some very good though out of favor European players like Gervinho and Ramires is one thing. 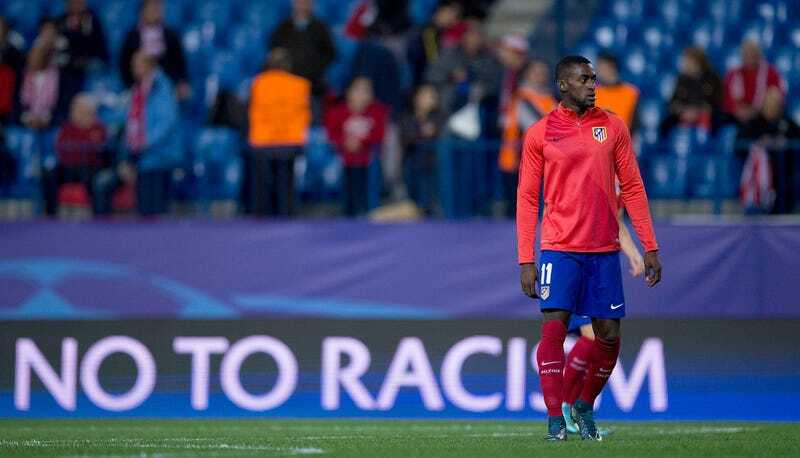 But breaking the bank for a striker on one of the best teams in the world, as Guangzhou Evergrande have reportedly just done with Atlético Madrid’s Jackson Martínez?!? This is insanity. There’s no word yet on how much Guangzhou had to offer him to convince him to join, but seeing how much Chinese teams have offered lesser players, the numbers are likely eye-watering. The timing here is a little curious, for a couple reasons. For one thing, the European transfer window is already closed, which you’d think might preclude a move like this from happening. That’s not the case, however, as the Chinese transfer window is open until the end of February, which allows Guangzhou to make a signing like this now. All this means for Atléti is that they won’t be able to sign a replacement player until next summer, seeing as Spain’s registration window has passed. For Atlético, though, this offer had to be too good to pass up. As great a player as Martínez has shown himself to be over his career, he has not hit the ground running in La Liga. Manager Diego Simeone does not appear to trust Martínez that much, rarely putting him in the starting lineup, and instead favoring a number of younger, more promising forwards in his stead. With the likes of Ángel Correa and Luciano Vietto already waiting in the wings, plus Borja Bastón returning in the summer from his very successful loan at Eibar—and Bastón will be allowed to return regardless of the FIFA ban—Atlético must’ve seen the opportunity to turn a profit on the €35 million they spent on Martínez just last summer and jumped at it, knowing that figure wasn’t likely to get any higher should the Colombian forward remain out of favor. But no matter that Martínez wasn’t a sure starter for his club and that at 29 years old he isn’t exactly a spring chicken; this is still an enormous coup. Just six months ago Jackson Martínez was one of the hottest names in world soccer, coveted by many of the best clubs in the game, and was ultimately signed by a top-five team in Europe to be their leading man. That a team in the Chinese league has come in and absconded away with a player of that caliber, for the figures we know about and the ones we can only guess at, when absolutely no one saw this coming, is simply astounding.